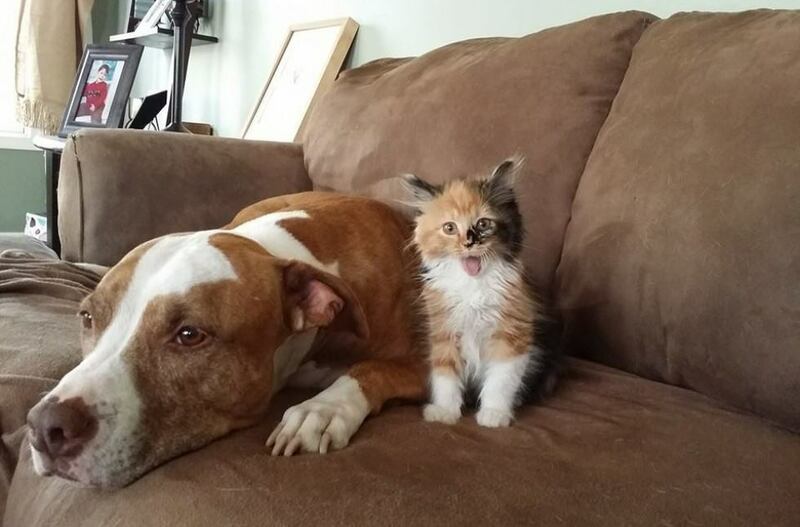 Meet Matilda, a rescue kitten from BARCS who is being fostered by two families – one human and one pit-bull. 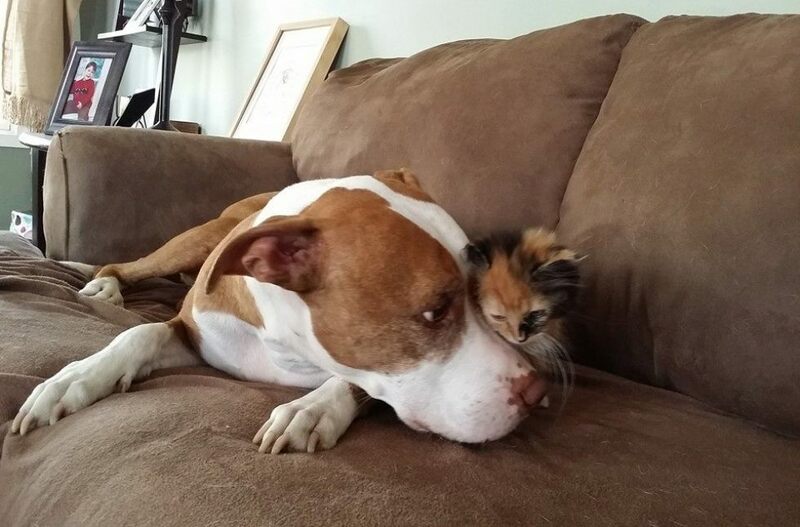 Lisa Revella Morabito and her husband have 2 pit bulls and 1 pit bull mix, all BARCS rescue animals as well and Matilda the kitten seems to believe she is one of the pit-crew. 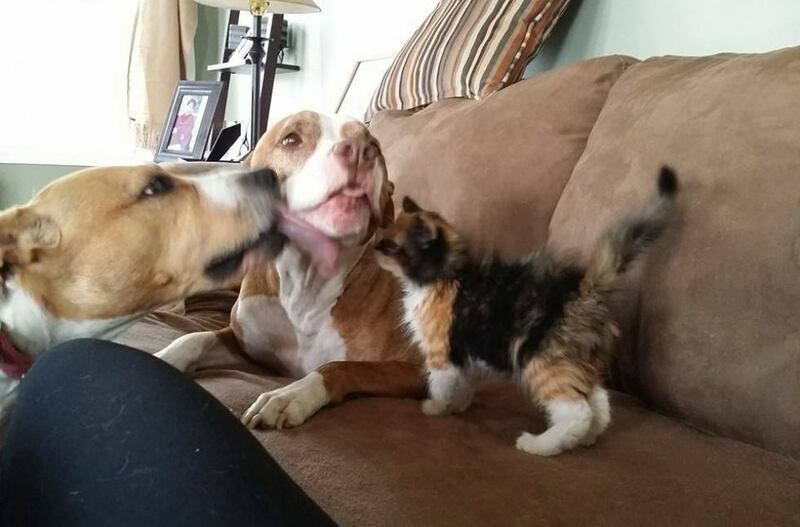 According to Morabito who is director of operations at BARCS, Matilda fell in love with the pit bull pack and even tried to nurse from Spike, ironically the only male. Moreover, all the pits are enamored of her as well. Since the original publishing of the Huffington Post article, Matilda has been successfully adopted into a permanent home. I dedicate this Good News Review to pit bulls. I hope it enlightens others to this breeds best qualities for they are too often misunderstood and misused/abused.